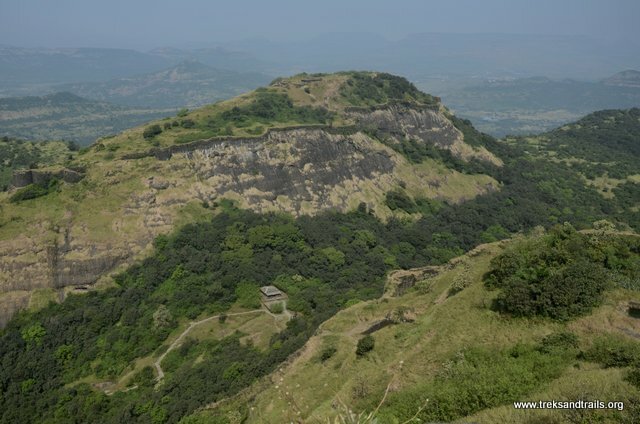 Rajmachi Fort consists of two forts Shrivardhan fort and Manaranjan Fort. 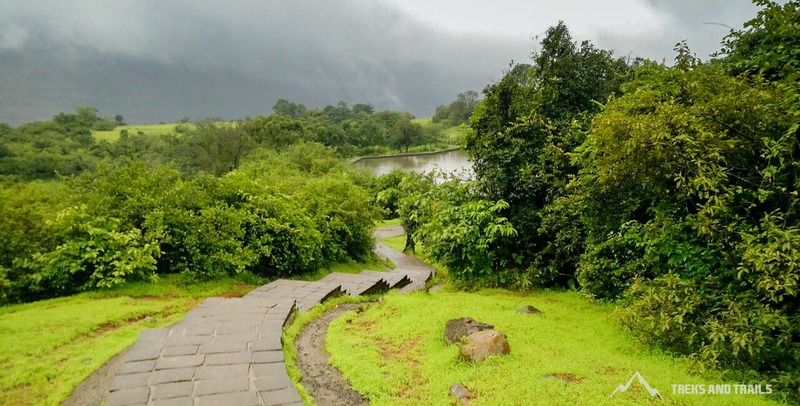 It is about 16 km trekking distance from Lonavala. 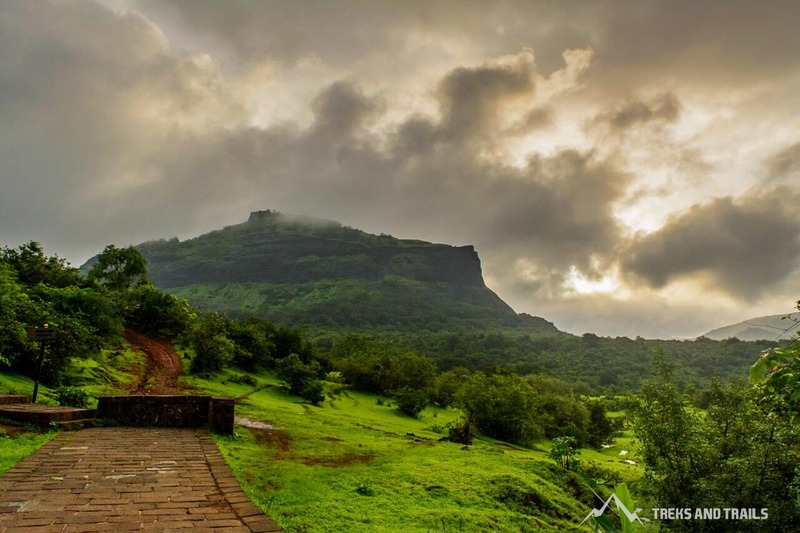 Historically, Rajmachi fort was a strategic fort to control Bor ghat between Khopoli and Khandala on Mumbai - Pune route which was a historical trade route. 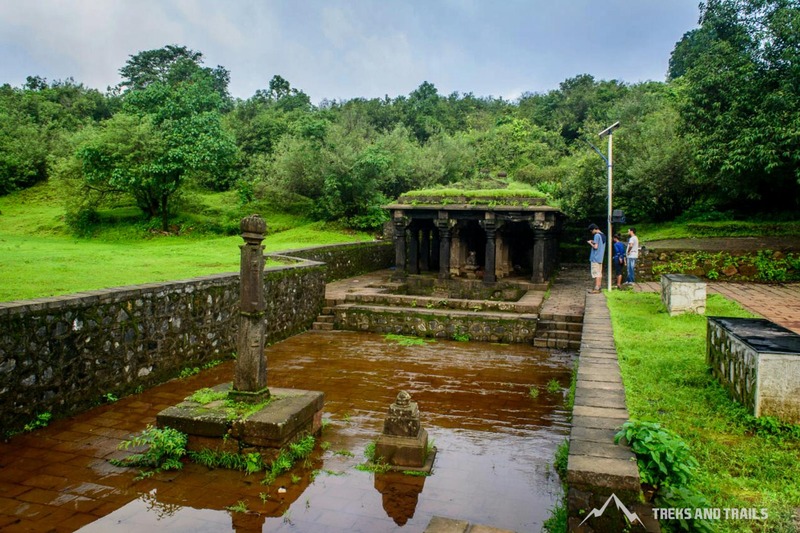 Rajmachi Fort has two fortified structures Shirvardhan Fort and Manoranjan Fort. 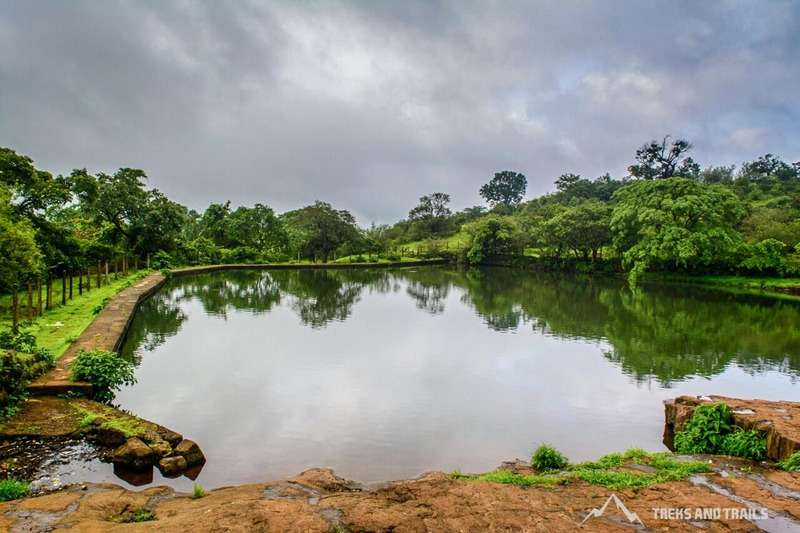 Rajmachi Fort Trek has always fascinated trekkers. 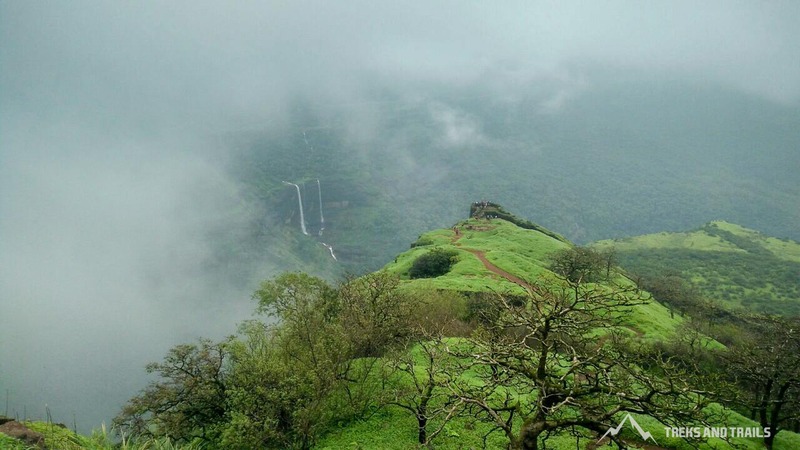 Treks and Trails had chosen to visit Rajmachi via Lonavala Route. There are two ways first from Karjat Side which is tough uphill starts from Kondivade village near Karjat and second via Lonavala which is like a trail. We caught the 2.30 pm Sinhagad Express from CST, try to catch the train from CST or Dadar if you want a seat. 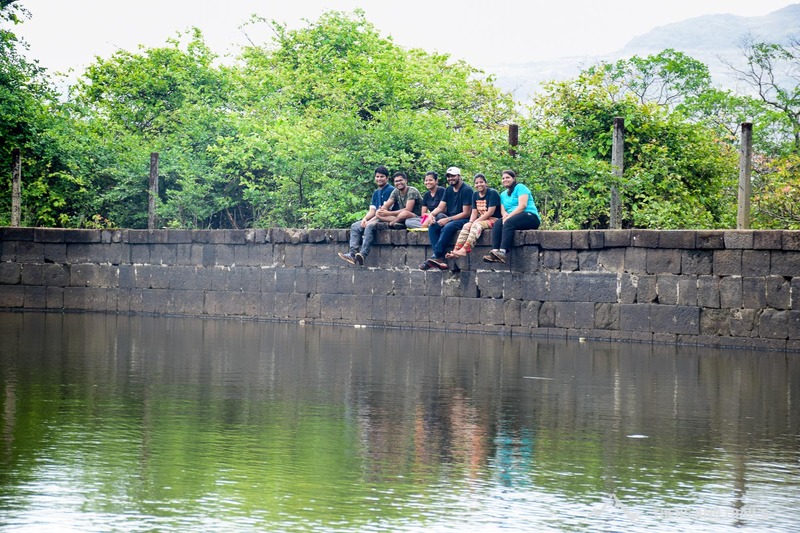 We met all the trekkers at Lonavala Station and took Rickshaw till Tungarli Dam from where the Trek starts. 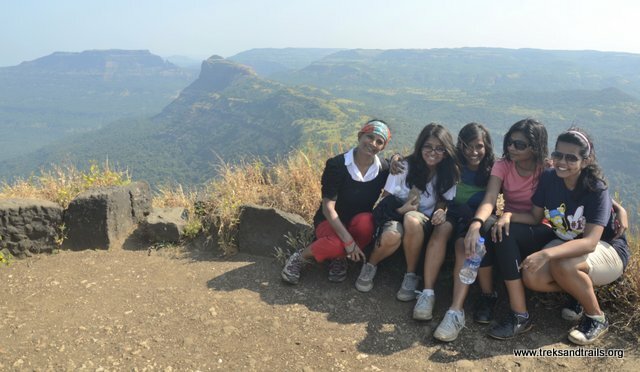 Treks And Trails had arranged Night Trek to Rajmachi. 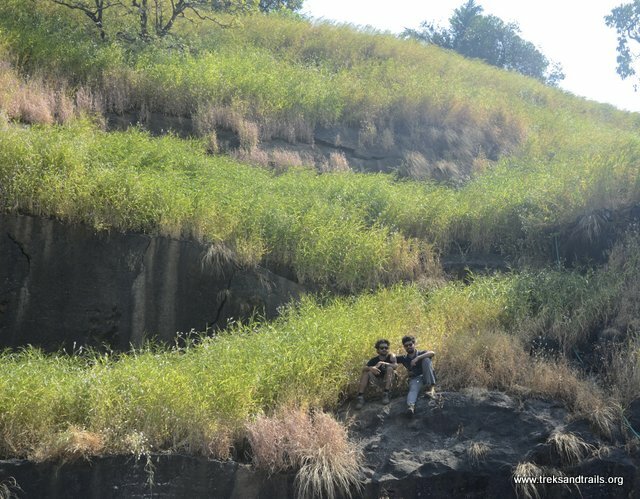 After our introduction we started trekking it takes roughly 3 to 4 hours to reach Rajmachi Village or 16 km. You can also drive till Rajmachi or Hire a Sumo from Lonavala for Rs 2500/- per day or Rs 1500 one way. Many Bikers use the 16 km road for Off Road Biking. The trail is well marked with direction. We started at 6.30 pm with sun setting behind us torch is a must it gets dark quickly. The trail is mostly flat with road under construction MTDC developing the village for tourism people will come in horde to pollute now. We walked at a good pace and climate was pleasant we stopped for regular water breaks to keep us hydrated. You can see many people camping on the way we reached the base village by 9.45 pm. Our dinner was ready at a local villager’s house after dinner we went to visit the small lake in night we finally called it night at 12.30 am. It got very cold in the night and we all slept well. Morning was very relaxing we all woke up by 6.30 am and got ready to explore Rajmachi. We first visited Shirvardhan Fort it is in good condition. We visited the many caves on the way it takes around 2 hours to explore the fort completely. 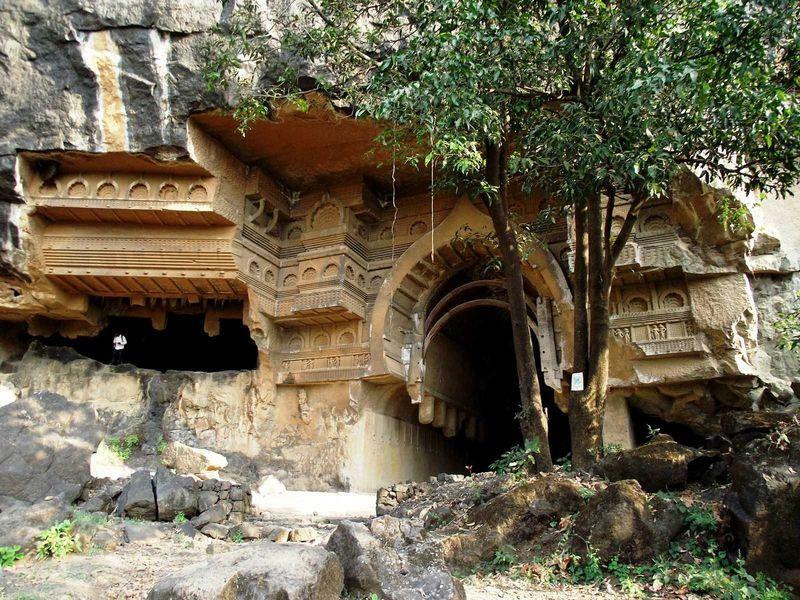 Caves are from Buddhist origin though without any carvings. Camping is possible on both the forts. Drinking water is available and caves can accommodate a large group on Shirvardhan Fort. We saw a bee mound in one of the caves we advise carrying your tent and camping. Many people are using such places to drink alcohol and barbeque and are spoiling such places please don’t treat them as resorts such places are national monuments. Manoranjan is smaller of the two forts and can be covered in 30 mins. You can visit this fort for sunrise in the morning. After exploring the two forts we visited the Bhairavnath Temple. You need to pay visiting tax or fee Rs 5/- per head there is also a charge for Bike/Car/Bus which is collected for Development of Rajmachi Village. MTDC is building steps on the trekking route. We had our lunch early by 12 pm we rested for an hour and started us descend towards Kondivade village towards Karjat the route is completely a descend it takes around and 2-3 hours. Route is slippery in some part we met a villager on the way who was selling kokum sherbet at Shirvardhan fort he had sold his stock and was returning home he told us it takes him 1 hour to descend. We visited Kondana Caves which fall on the way towards Kondivade Village. This cave group has 16 Buddhist caves the caves were excavated in first century B.C. the construction on wooden pattern is notable. The cave has only one inscription on the front of the Chaitya, which gives information about donors. We finally reached Kondivade Village we visited a local villagers house who offered us Nimbu Pani and helped us locate a Rickshaw till Karjat Station which is 40 mins away. We paid the villager for Nimbu Pani and got into the cramped rickshaw our train was one hour away we were hoping for no traffic to reach before the train left. We reached 20 mins early we bought a lot of chaat on the way since we hungry again. Treks and Trails Thanks the group members who were great and followed our instruction well. Everybody had a great time trekking and enjoyed each other’s company. On long treks it helps if you take the effort of knowing your fellow trekker. You can take sharing Rickshaw or State Transport bus till base village. Rickshaw will stop one village before Kondiwade Village you need to inform rickshaw driver and negotiate rate till kondiwade caves route. You can either descend back from same route or walk till lonavala 16 km. You can also hire sumo till Lonavala village or Pune or Mumbai. During monsoon Karjat route is often flooded do check before leaving, do carry torch or powerbank for mobile phones there is no electricity at Udhewadi Village base village for Rajmachi fort. Donate if you can solar phone charges or solar lamp to villagers. Food and Stay is available at local villagers house.